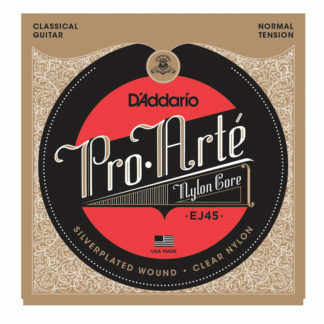 Savarez Low Tension Classical Strings are the lower tension strings that provide the clear sound for your classical playing needs. – The rectifying technology which enables to get strings perfect in tune and being perfectly cylindrical. – The possibility to offer strings with accurate tensions as well as a choice of tensions. White card set, all the strings of this set have a slightly lower tension than those of the red card set.